Recognized as a Five Rivet Airstream Dealer, Lazydays RV in Tucson, Arizona offers an unparalleled customer experience. This collaboration of two industry leaders provides an immersive shopping experience representing the adventurous spirit of the Airstream brand. Both of our locations in Tucson, Arizona and Minneapolis, Minnesota deliver the quality sales and service that is the Lazydays RV standard. Lazydays RV in Tucson, Arizona is recognized as a Five Rivet Airstream Dealer. Our Tucson, Arizona and Minneapolis, Minnesota locations are your destinations for Airstream travel trailers and touring coaches. The classic standard of comfort and freedom offered by these RVs has been favored among travelers for generations. The modern fleet of Airstreams holds true to the tradition of extraordinary design and handcrafted quality. This fleet is guaranteed to have something for everyone. With a plethora of floor plans available for every model, comfort is at an extreme with the modern Airstream platform. The riveted aluminum construction is exceptionally durable and is corrosion resistant. Interior construction materials are weather resistant, easy to clean, and all-around perfect for adventuring. The Lazydays customer experience lives on at our Tucson and Minneapolis locations. Plus, you'll find numerous of Airstream travel trailers and Airstream motorhomes for sale, the freedom everyone longs for is at your fingertips. 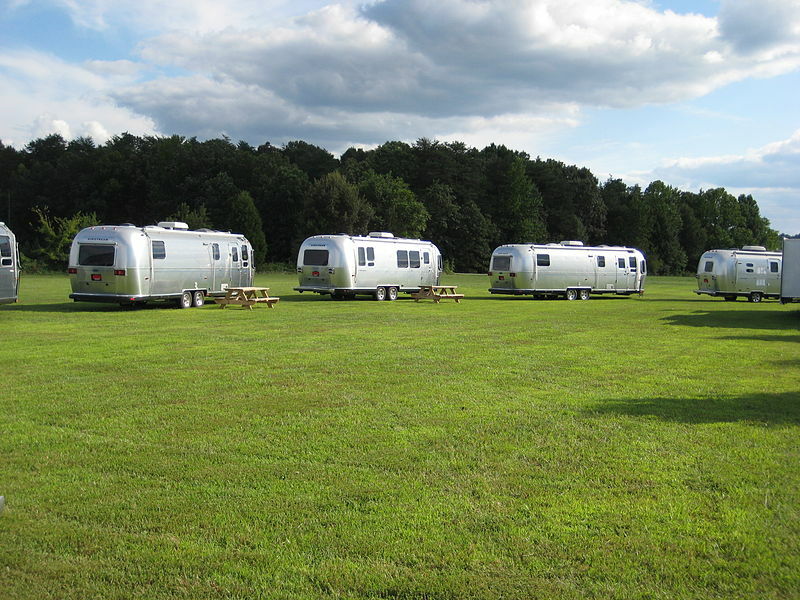 The friendly community of Airstream enthusiasts nationwide and around the world are ready for you. So, get out there! Sign Up Today for Weekly Specials & New Arrivals!